The dBDRA is pleased to announce Deaf Bonce as the exclusive dBDRA trophy sponsor for the upcoming FINALS in North America. 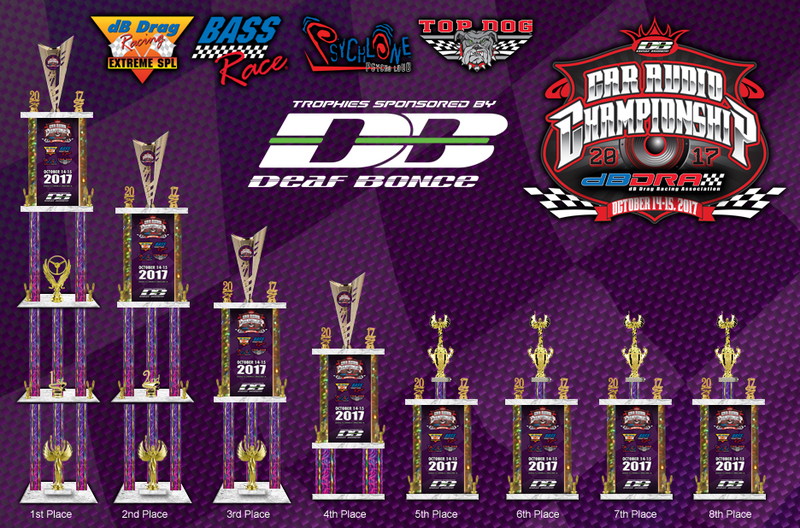 The dBDRA FINALS will take place October 14-15, 2017 at the Car Audio Championship in Louisville, Kentucky along with satellite locations in Northern California and Western Canada. “A huge thanks to Deaf Bonce for sponsoring the dBDRA trophies for the third year in a row. We are grateful to have the support from the crew over at Deaf Bonce. They have been very supportive of the competition scene on a global level with many competitors using their products worldwide.” said Celise Harris, Marketing Director for the dB Drag Racing Association. The North American Finals event will consist of multiple venues competing against one another for championship status. 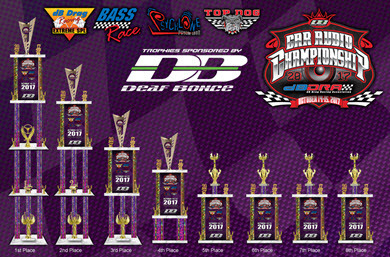 The dBDRA will be offering awards for 1st-8th place in the Finals event. The First place finals winners will receive both a trophy and a championship ring. Competitors that win 2nd- 8th place will be awarded trophies.